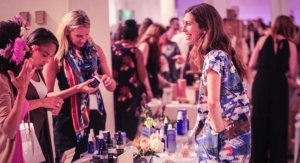 Indie Beauty Expo arrives in New York City featuring 220 exhibitors and hundreds of new ideas. 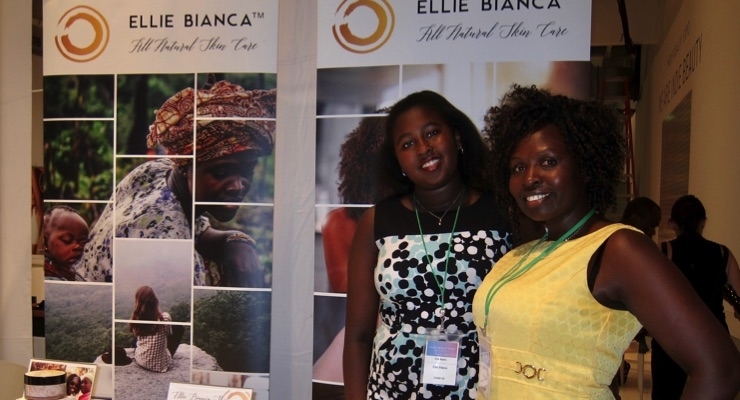 Ellie Bianca Skin Care Founder, Evelyne Nyairo, right with her daughter Eliana. 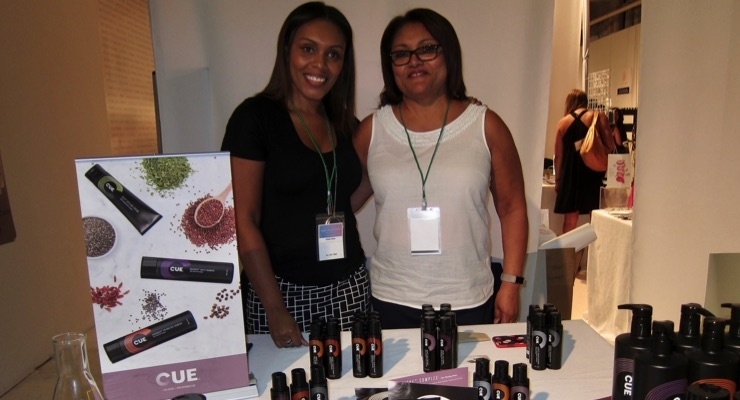 CUE Hair Care founders Mabel Covey (right) and Aimee Sowu. 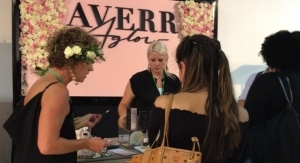 Indie beauty brands took center stage as enthusiasts attended the Indie Beauty Expo in New York City, August 23-24. 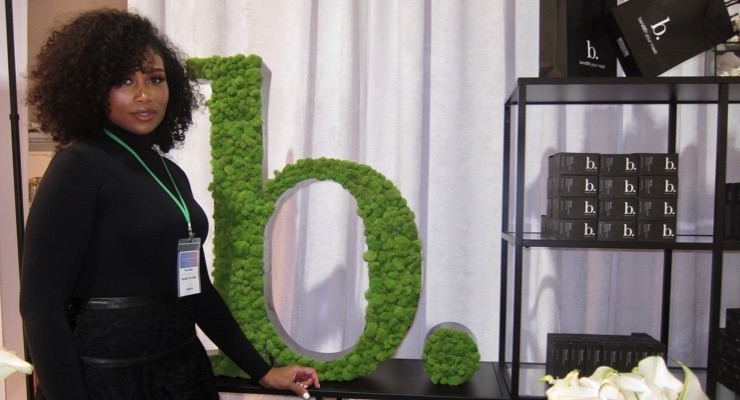 Jillian Wright and Nader Naeymi-Rad, who co-founded the Indie Beauty Expo and launched its inaugural event in 2015, conceived the tradeshow as a showcase for rising independent brands that were already impacting the traditional cosmetic environment. Since their inaugural event, the show has grown in size and influence, fueled by consumers’ thirst for authenticity and a desire for freshness in the marketplace. This year’s sold-out expo, with more than 220 exhibitors, moved to a vast space at New York’s Skylight Clarkson Square to accommodate the throngs for what is rapidly becoming a new kind of big business. 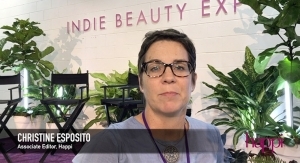 An interview with Jillian Wright at the show’s latest iteration in New York City, on August 23, 2017, revealed the massive appeal of indie brands, and the relevance they hold for the beauty industry. Happi: What defines and differentiates Indie beauty? JW: Indie brands are those brands whose owners control at least 50% of the brands they operate. 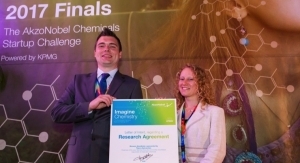 They have the ability to connect with consumers via social media and offer an emotional connection to consumers. Happi: How do indie brands create the emotional connections with consumers? JW: The new beauty consumer wants to spend their money on indie brands because beauty is emotional. Indie brands are more transparent. People travel to Africa to harvest shea butter. They actively pursue authenticity. Indie brands reach people who have had enough of corporate culture and want to dive deeply into the authenticity and source of a brand. That’s why it’s emotional. Happi: How do you see the growth of indie beauty? JW: In 2015, we had 80 brands exhibiting in New York City. In 2016, we had 130, and in 2017, we have 227 brands and we ran out of space. It’s growing very quickly. We are taking a bigger chunk away from the big corporate beauty brands. We’re also planning our first foray into Europe with an Indie Beauty Expo in London in October 2018. Happi: How do indie brands stand out? JW: I’m still learning, but because indie brands have now been better able to prepare, and we have #connectindie, as well as the right people to do the right messaging, we’re able to build our educational platform, and because of this the indie brands are bringing more relevancy to the beauty industry. They are diverse, multi-cultural and sustainable. Indie owners are thinking about sourcing, packaging, usage, and giving back, so indie beauty is sustainable. We work in smaller batches, we’re bespoke. Because of this, we don’t have dead inventory and so we don’t contribute to the waste stream. In addition, indie runs at all price points, from luxury to more affordable pricing. It reaches all levels, and how wonderful it would be to infiltrate mass without destroying our environment, and be able to teach consumers about ingredients, sourcing and better manufacturing practices. Everybody deserves it. There has been a great shift from high luxury brands to affordable brands. Support has come from Sephora, Anthropologie, Ulta and more, and I’m also very excited to have conversations with Walgreens. There’s interest from Costco, Nordstrom, and Saks; everybody is getting into the "better beauty" game. If you don’t, you’re going to lose out on making the world a better place. Happi: What drives consumers to connect with these brands? JW: Better manufacturing practices, sustainable sourcing, it’s practices like that, that enhance connection. Our voice is most powerful in numbers, and in our pockets. If we continue to support independent beauty brands that give back and support communities, we can fight back with our dollars. So, it’s an echo effect. Our collective thoughts help support and build, so we all win, and we minimize the destructive toxic footprint. That’s where better beauty practices come in. In essence, your contribution to the positive cycle rather than the destructive one. People are tired of not having control and being told what to do, and the corporate culture mentality tends to feed false information and a false sense of beauty. Indie brands are more real, down-to-earth and transparent. 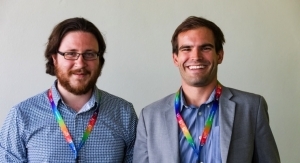 Happi: How is today’s retail environment being impacted? JW: All retailers, from large department stores, pharmacies, salons, spas and indie boutiques, up to and including Amazon and Home Shopping Network, are all looking to indie beauty for diversity, fresh innovation and newness. No two curations are ever alike because indie beauty is global. From under $20 to luxe, there is something for everyone, and they are all trying to differentiate their retail from others. In this competitive wild, wild west environment, we’re all trying to figure it out. 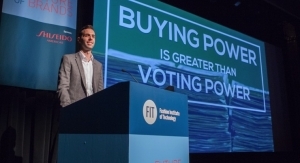 I’m confident that the indie space will continue to grow to help redefine the future of retail. Ellie Bianca All Natural Skin Care. Founded by Evelyne Nyairo, an environmental scientist and chemist, born in Kenya and educated in Canada, this natural skin care company is named for the founder’s daughter, Eliana. After receiving a BS in environmental sciences (biology and chemistry), and a master’s in environmental management, Nyairo began to focus on resource conservation and sustainability. On trips to Chad she sought to improve shea butter harvest practices by harvesting the nuts sustainably, rather than cutting down trees, and by working to empower communities, particularly women and families, through business and education. “I wanted to give women a voice and assist in creating a coop for shea harvesting and implementing educational initiatives,” said Nyairo. 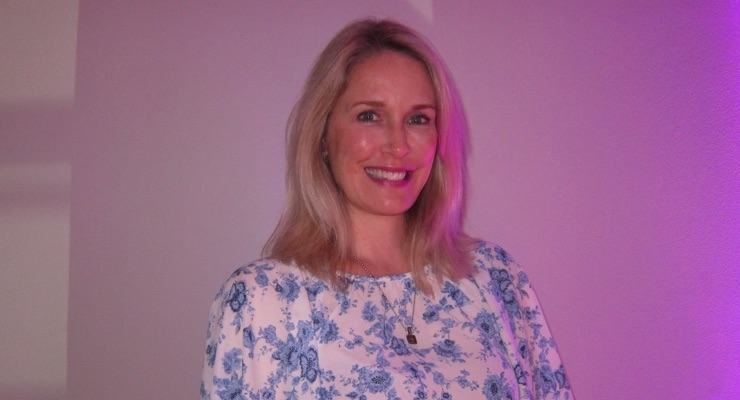 The result was a social enterprise fueled by a line of luxurious skin care with a message; i.e., "Kind to your skin, kind to the earth and kind to women." From harvest to extraction and formulation, through final product and sourcing, quality control, and creating a reduced carbon footprint, Ellie Bianca has shared its knowledge to empower female entrepreneurs, initiate profit sharing, and enhance free trade. 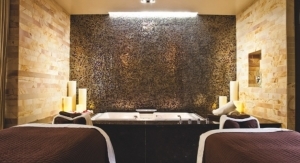 Products include Naked Bath Salt, with Dead Sea Salt and Lavender Essential Oil; Lavender Bath Salt; and Breathe Bath Salt with Calendula Flower, for nourishing renewal. Lip balms include Naked Lip Tube & Tin, with certified organic shea butter and calendula flower; and Peppermint Lip Tube & Tin, with certified organic mango oil, jojoba seed oil and vitamin E. There is also a range of body oils and serums based on certified organic and organically grown shea. www.elliebianca.com. A Complete Beauty. Latin American businesswoman, Angelica Fuentes, created the Youth Preserve Routine with five multifunctional products designed to work together for a complete, three minute daily skin care routine for the fast-paced schedules of women on the go. Botanical actives and marine ingredients work synergistically with science to address skin care needs through every stage of a woman’s life. The line consists of Youth Preserve Deep Cleanser, a soap-free cleanser to clarify and brighten the skin; Highly Concentrated Youth Preserve Serum, to moisturize dry skin and restore luminosity; Youth Preserve Eye Contouring Cream; Facial Youth Moisturizing Cream, for fine lines and wrinkles; and Premium Beauty Concentrate for Skin, a beauty-enhancing supplement containing hydrolyzed proteins, natural extracts and vitamins, to work in conjunction with the topical regimen. www.AComplete.com. 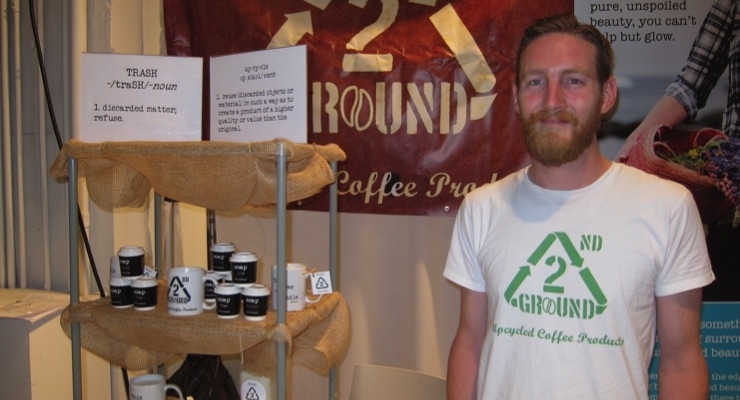 2nd Ground Upcycled Coffee Products. Owner and Founder Mark Guerino always had a passion for recycling, and his recent foray into repurposing coffee grounds led to the creation of an imaginative line of handmade upcycled soaps, scrubs and candles. The Brooklyn-based business is already linked to the coffee culture in New York City, and has enabled the owner to share his mission with consumers and the way we all look at “trash.” Guerino utilizes post-brewed coffee grounds to create upcycled soap. The tops of the soaps are layered with espresso grounds for gentle exfoliation, and the lower portions create the lather. Soaps are available in espresso, vanilla, lavender and more, and are packaged in small coffee cup containers, emphasizing their origins. There are also mini-coffee bean soaps, packaged in small burlap coffee bags. www.2ndground.com. Beneath Your Mask. Small batches, organic ingredients, and wild botanicals harvested from 25 different countries are hallmarks of this new skin and body care line, says founder Dana Jackson. The handcrafted line features beauty with purpose, offering products that are safe to absorb and do not challenge the immune system. Beneath Your Mask was created to restore, repair and reverse the toxic effects of environmental hazards, while nourishing and healing damage done to skin and hair. After being diagnosed with systemic Lupus Erythematosus, Jackson wanted to create a line that complemented her regimen, which included purging all toxins and unnatural products from her body. The line includes Heal Whipped Skin Souffle, with shea butter and sweet almond oil; Polish Detoxifying Body Scrub, with Dead Sea salt, lemongrass essential oil, and tea tree; Indulge Total Body Elixir, with 19 plant oils for skin rejuvenation and healing; Nourish Skin and Hair Serum; and Illuminate Clarifying Face Mask, with French green clay and raw cacao, to brighten skin and increase cell turnover. All products are packaged in dark Violet Miron glass, that is said to energetically activate the botanical formulas. www.beneathyourmask.com. BioMilk. The premise of BioMilk is a passion for health; a healthy mind, healthy body and healthy skin; and, says BioMilk, healthy skin starts with skin nutrition. BioMilk Probiotic Skincare utilizes natural milk probiotics and bionutrients to create glowing, healthy-looking skin naturally. According to the company, BioMilk uses smart milk probiotics to free skin cells from dulling impurities and toxins caused by pollution, UV rays, chemical, stress and lack of sleep. 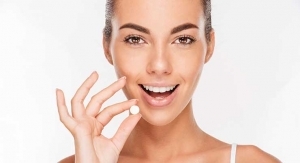 Probiotics stimulate natural defenses for a restored skin barrier and promote healthy skin. The line includes BioMilk Probiotics + Nutrients Night Cream, for skin oxygenation and renewal, with shea butter, chia seed, soy, seaweed, açai and green tea; BioMilk Day Cream, for potent antioxidant protection; and BioMilk Detox Scrub, a probiotic complex designed to clean and detoxify the skin, and even skin tone and texture. 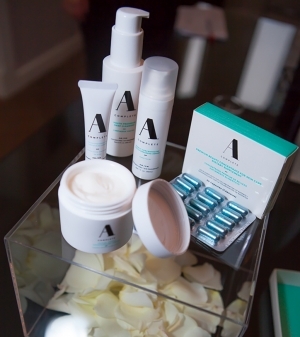 Each product contains a unique set of superfoods that meet skin’s nutritional needs. The brand has also partnered with Project Healthy Children to support children’s nutrition. www.BIOMILKskincare.com. The line contains Nutricue Complex, a signature blend of quinoa, rich in amino acids; camelina oil, a source of omega 3 for elasticity and shine; and chia oils, with phytonutrients and antioxidants, to help moisturize the hair and scalp, and impart luster. The line consists of shampoo and conditioner duets, called Crossbeat, for volumizing fine hair, Backbeat, for normal hair types, and Hyperbeat for hair that is thick, curly, unruly or over-processed. Styling products include detangling spray, volumizing spray, sea spray, styling cream, pliable pomade, styling clay, silicone-free serum and light gloss polish. All products are said to be safe for color-treated, keratin-treated, and chemically-processed hair, and are sulfate-free, paraben-free, gluten- and phthalate-free, too. www.cueproducts.com. Cuvée. Cuvée is a new hair care line with a unique ingredient profile. Cuvée Complex was designed to provide strength, color protection, hold, and shine, with a special blend of champagne, white truffle and platinum extracts, plus skin care ingredients that add luxurious shine. The signature scent, a hallmark of the line, was created in Grasse, and scents each product in the range with notes of champagne and fig. 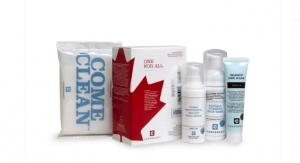 Products include a shampoo that's phthalate-, paraben- and sulfate-free; conditioner, to add weightless hydration, softness and shine; Champagne Spray for a tousled look; Protective Treatment for humidity-resistant, shiny hair; Styling Balm for a finishing hold; Premiere Treatment to protect hair and scalp; and Volumizing Mist for body. www.cuveebeauty.com. Shades include Pink Juniper, Cranberry Citrus, Mandarin Spice, and Ruby Grapefruit, and offer sheer color on application, while delivering nutrients, hydration and protection to the lips. The lipsticks feature eco-chic packaging, no outer boxes and are wrapped in a patterned glass cleaning cloth that repurposes to polish glasses and screens. The company strives to leave the smallest footprint possible. Lük's philosophy is to harness the beauty in food, so you can be delicious inside and out. www.lukbeautifood.com. Nügg Face Masks. This new entry into the mask and lip exfoliating category has launched a Mermaid Marine Rubber Peel-Off Mask to cleanse the skin, draw out impurities and reduce shine. The mask is offered in a yogurt-like container, and forms a thick, rubbery layer that peels off easily and soothes and tones the skin, while providing a de-puffing sensation to the face. It is based on a 97% natural formula, which includes alginate and sea salt, as well as tea tree oil. 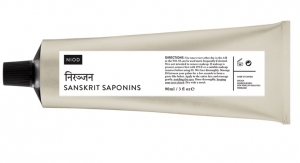 It contains no alcohol, preservatives, parabens, sulfates, or synthetic fragrances. The Charcoal Skin Detox Mask contains charcoal, oatmeal, and tea tree oil, to cleanse, purify and control shine without drying the skin. Nügg also offers an Exfoliating Lip Smoother, a 2-in-1 moisturizing lip scrub and smoother with jojoba wax and sugar granules to gently remove dry skin, while cocoa butter, jojoba oil and sunflower seed wax hydrate and condition the lips. It features a vanilla bean fragrance, and contains no artificial colors or synthetic fragrances. www.nuggbeauty.com. Nuvesse. 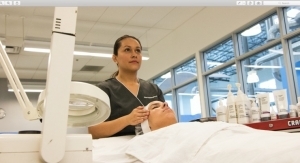 Nuvesse, which showcased a range of facial masks featuring Cellulation Technology, bases its skin care line on a variety of serum-infused masks designed for firming and anti-aging, hydration and brightening, and tired eyes, puffiness and dark circles. The patented Cellulation Technology is said to enable 26x more nourishing ingredients to be delivered faster to the skin, and provides longer-lasting results. The masks and serum rollers contain vitamins, A, C, E, and B3 to improve tone and texture, as well as a peptide combination of hyaluronic acid, glycerin and aloe vera, to address skin firmness. The Hydrating Mask contains hyaluronic acid, aloe vera to refresh the skin, and vitamin C, for brightening and overall tone. The Dark Circle Mask contains peptides, vitamins K and E, and camellia seed oil, plus caffeine, to reduce puffiness. www.nuvesse.com. Sahara Rose. Founder and CEO Ikram Elharti, has created a new line of beauty products for face, body, bath and spa that is based upon ingredients used for generations by indigenous healers in the Sahara. The line is said to contain precious and powerful ingredients that are free of toxins, vegan friendly, contain no parabens or mineral oil, and are not tested on animals. The collection includes Sahara Rose Divine Body Oil, Sahara Rose Body Polish, Sahara Rose Regenerating Face Cream and Under Eye Elixir. Elhart notes that the products are made in small batches, and contain such ingredients as prickly pear seed oil, saffron pistils, wild rose and neroli. High concentrations of the ingredients soothe, heal, nourish and add radiance to the skin. www.sahararose.com. Senteurs d’Orient. This handcrafted soap company, born in the East, and inspired by the bathing rituals of the Far and Middle East, is a “company by women, and for women.” It is driven by female entrepreneurial spirit and committed to employ women in every role, while the sale of its products supports the education of women in partnership with the United Nations Development Program in a special initiative to support and educate women in Lebanon. CEO Sarah Akkari, whose mother Hana, started the business, has joined the company’s mission to create luxuriously scented, air dried, and elegantly carved soaps made by artisans in Beirut, Lebanon. Utilizing such ingredients as shea butter, hand mixed with olive oil and vitamin E, in a vegetal soap base, Senteurs d’Orient produces soaps that are works of art, scented by master perfumers from Grasse, and differentiated by fragrances that capture the blossoms and flowers of Asia. Their product range includes a signature Hamman soap on a rope, Ma’Moul Soap inspired by traditional Lebanese pastries, Mint Tea Soap Leaves individually cut by artisans in their Beirut atelier, fragranced with greens, mint, and sweet tea notes; and rough cut bath soap. Each soap features a variety of essential oils, including roses, jasmine and olives. www.senteursdorient.com. Well Within Planted in Beauty. 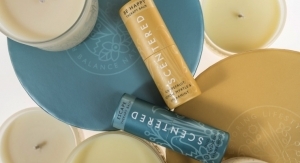 Co-owners Lynne Florio and Renee Tavoularis, recently launched a line of plant-based skin care products based on an integrative approach to wellness and beauty, taking into account skin health, nutrition and lifestyle. Believing that wellness and beauty are linked, the products contain ingredients derived from natural sources, containing organic ingredients, and remaining free of toxins. From ingredients to packaging, Well Within’s Planted in Beauty skin care utilizes an eco-responsible manufacturing process and is certified organic, non-toxic, chemical-free and cruelty-free. Products are vegan, use no animal bi-products, or synthetics, and give back to the planet, with its 1% For the Planet program, which supports environmental organizations. Products include Purify + Condition Makeup Remover, Soothe + Soften Cleansing Emulsion, Polish + Resurface Detox Exfoliant, Balance + Calm Toning Lotion, Firm + Smooth + Brighten Reparative Complex, and Nourish + Protect Antioxidant Moisturizer. Phytonutrients of chamomile and arnica calm the skin, antioxidant-rich Ginkgo strengthens and protects, while apricot oil and sunflower seed oil smooth, firm, and brighten. www.wellwithinbeauty.com. Indie beauty brands are taking a stand and finding an audience. Many promote novel formulas, sustainable initiatives and a conscious decision to create a smaller carbon footprint. The growing appeal of products that are more personal in nature and less commercial in concept, are major drivers of innovation in the new world of indie brands. Additional information may be found at indiebeautyexpo.com and beautyindependent.com.